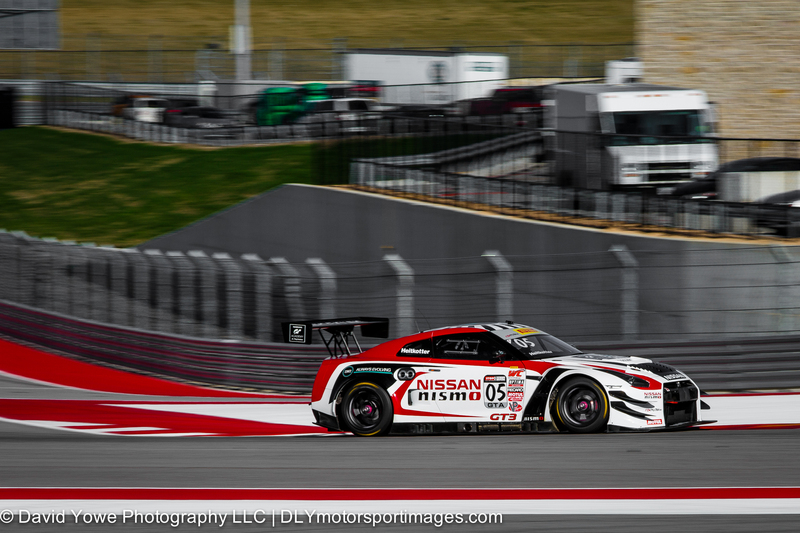 Last week was the start of my motorsports photography season with the Pirelli World Challenge (PWC) at the Circuit of the America’s (COTA) in Austin, Texas. It was great to get back to motorsports photography and to cover the awesome sports cars with there new liveries. 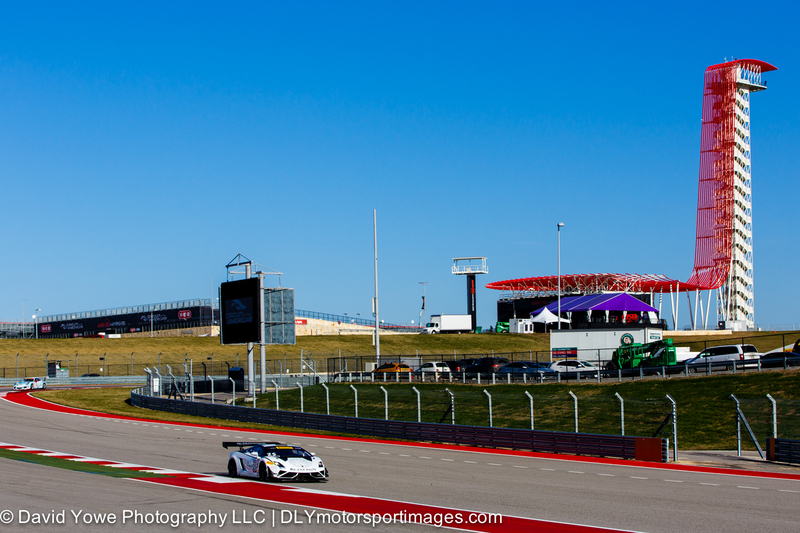 Arrived in Austin around mid-day, and made it to the track in time to cover the afternoon GT test session. Hope you like the photos. The COTA is a 3.4 mile long track that was purpose-built in 2012 for Formula One Racing. Since then the track has hosted many race car series including F1, TUSC, WEC, and V8 Supercars. The track has several iconic features such as the 251 foot high Observation Tower (which is a great place to see how large the track is), the steep hill at the end of the front straight which leads into the sharp left-hand Turn 1, and the Esses from Turns 3 through 5. 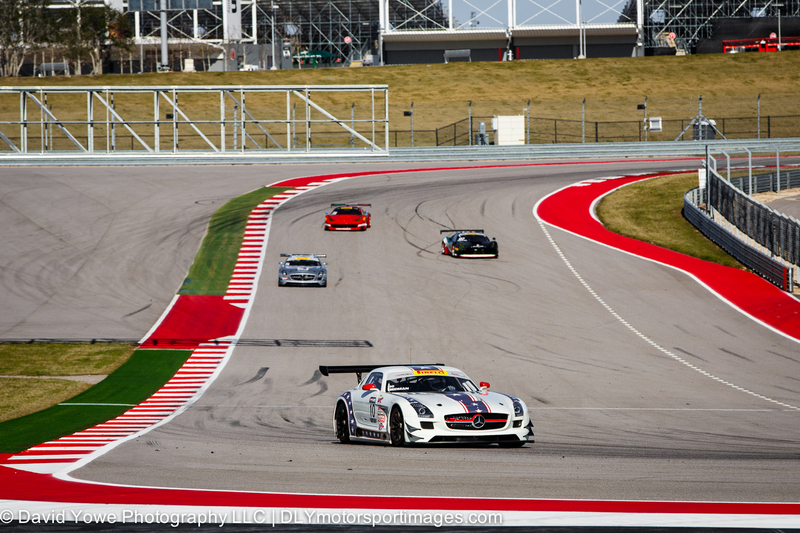 COTA is a wonderful track to photograph at with its varied terrain, turns, and elevation changes. The map above gives you an idea of the elevation changes throughout the track. Since the track is very large a golf cart is extremely helpful for getting around the track, especially from Turns 1 to 11. Must also thank the photographer who let me know how a small step ladder is needed to enable you to have enough height to shoot through most of the photo holes (this was the best $10 I spent on photo gear). Would also like to thank the COTA staff in the media center, safety workers, the PWC, other photographers etc. for there help. Now onto the photos. For the Thursday afternoon test session, I only had my 70-200mm lens with me, since wanted to travel “light” and get my bearings of the track, in preparation for the rest of the weekend. Was lucky that a couple of other photographers let me ride with them for the test session. Started the photo shoot at the outside of Turn 20, where you can get photos of the cars speeding down the short Turn 19 to 20 straight, next to the pit lane entrance. Here’s Henrik Hedman in the #10 DragonSpeed Mercedes-Benz AMG SLS GT3. The red and white livery of the #05 AE Replay Nissan GT Academy Nissan GT-R-GT 3 driven by Bryan Heitkotter matches perfectly with the trackside curbing as it speeds through Turn 20. Through the Turn 19 to 20 straight with Nick Catsburg in the #25 Reiter Engineering Lamborghini Gallardo and the Observation Tower in the background. 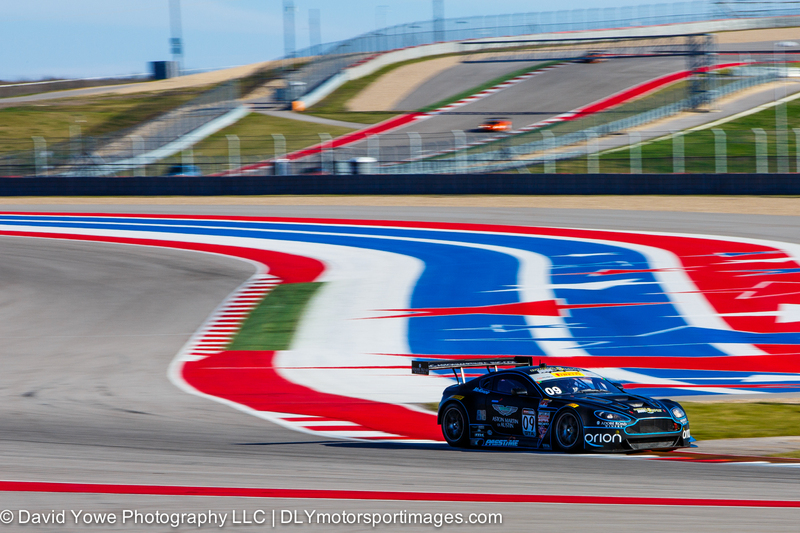 Mark McKenzie in the #09 TRG-AMR Aston Martin Vantage GT3 exiting Turn 19 with the “Red, White, and Blue”. 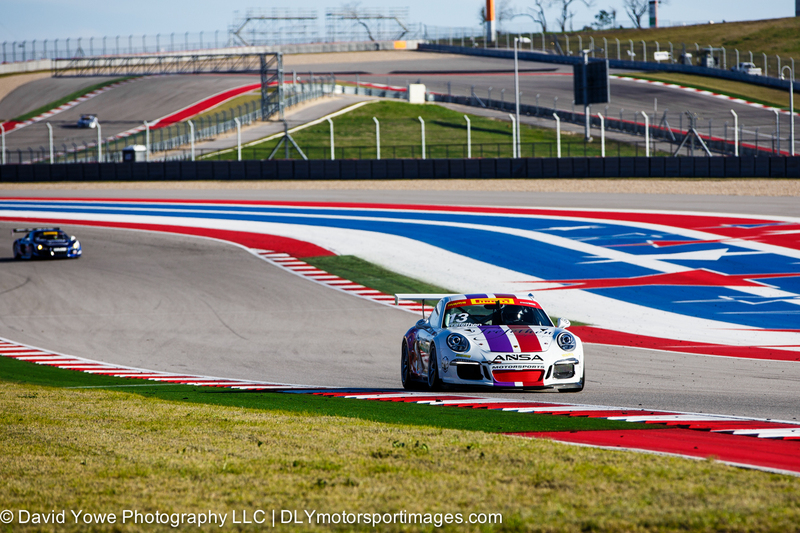 Lorenzo Trefethen in the #13 ANSA Motorsports Porsche 911 GT3 Cup along the Turn 18 to 19 straight. Really enjoyed shooting the afternoon test session, since it was also a test session for me and a good way to get back into the “swing of things and dust of my photography cob webs” in preparation for the next few days of shooting.